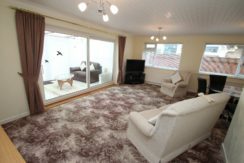 A part glazed UPVC double glazed door leads from the driveway through to the entrance hall. 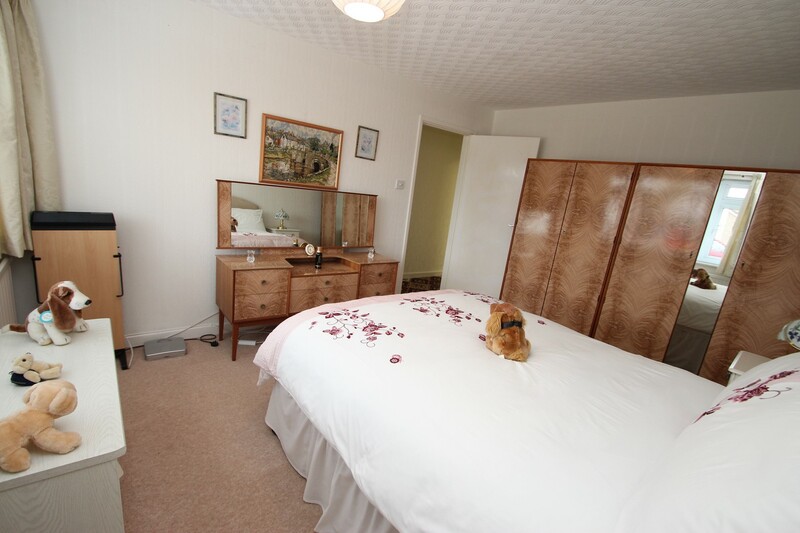 From the hall, there’s a hatch up to the loft space and doors lead trough to all rooms. 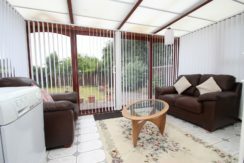 The lounge / dining room is of a generous size and has double aspect windows which bring in a good degree of natural light. 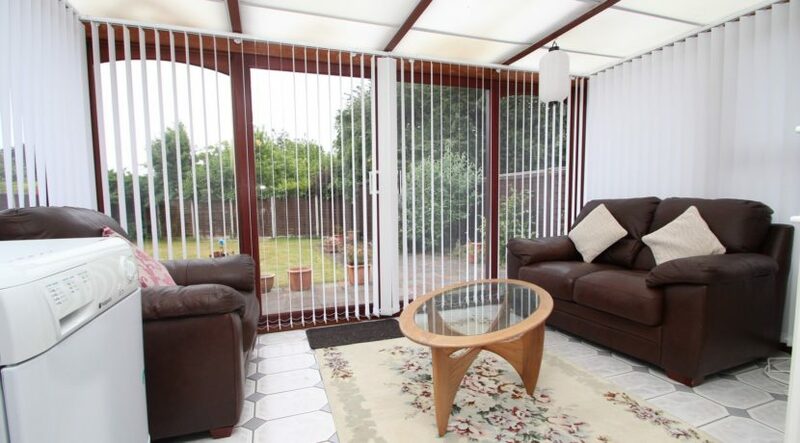 A UPVC double glazed sliding patio door leads from the living room through to the conservatory. 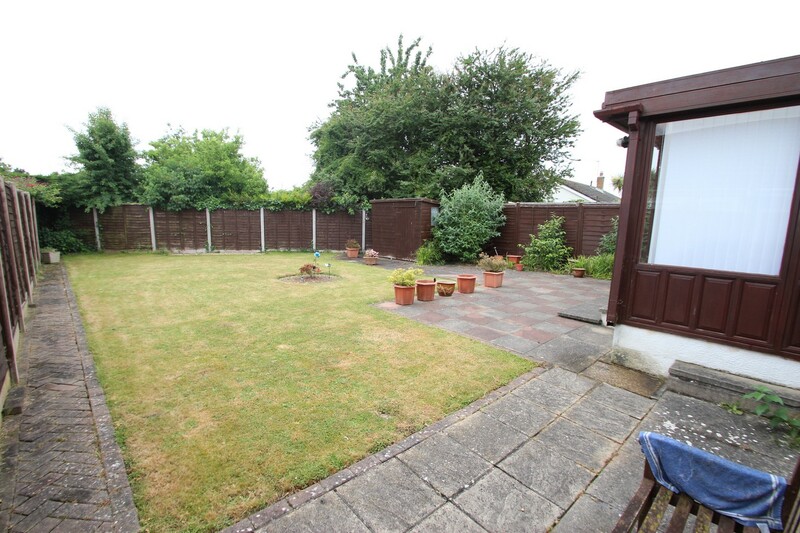 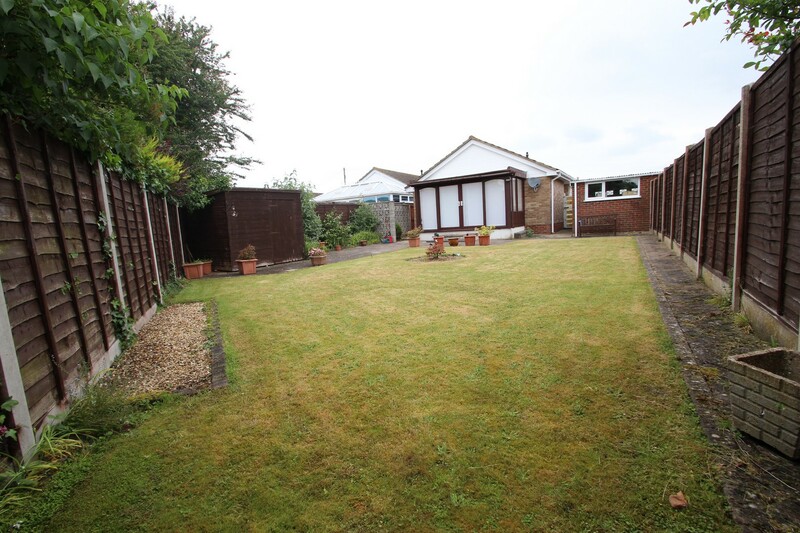 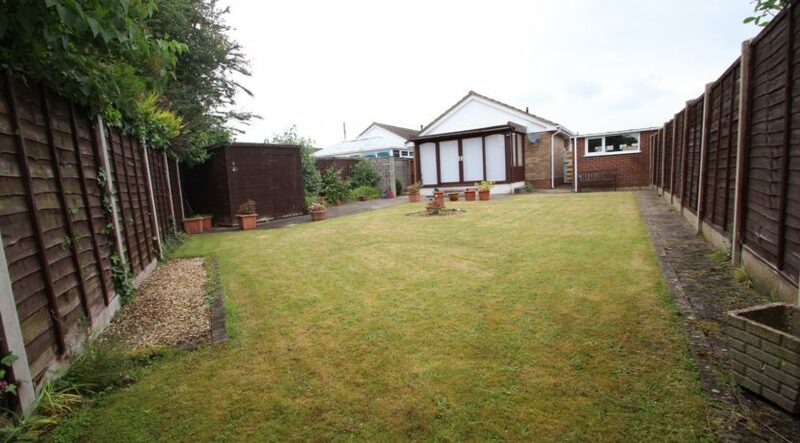 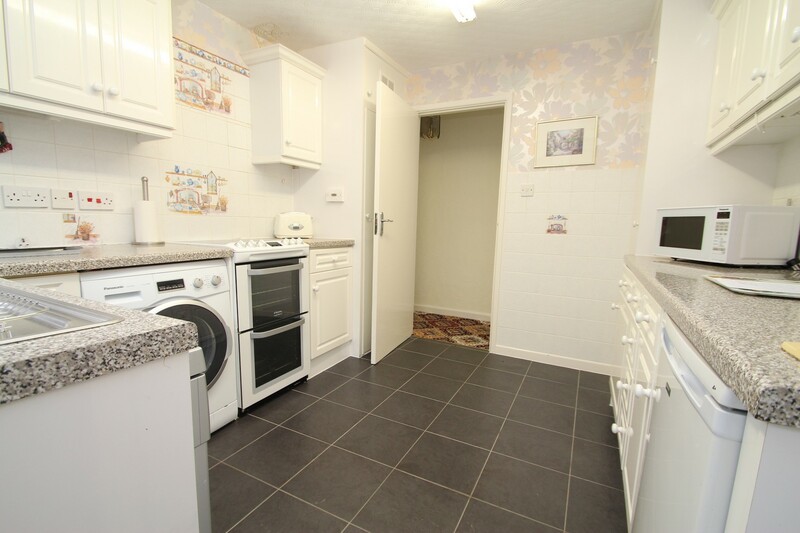 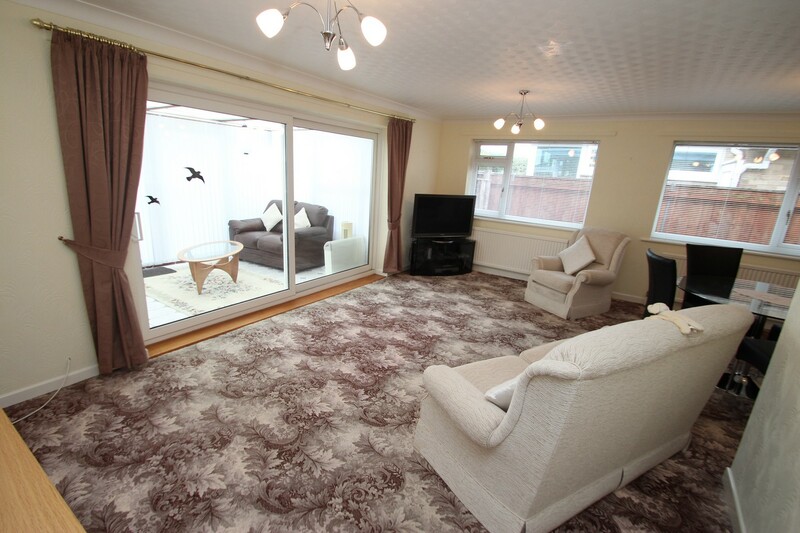 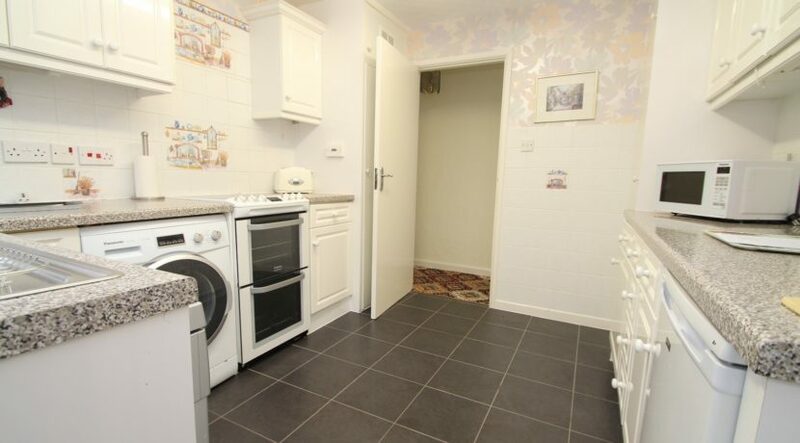 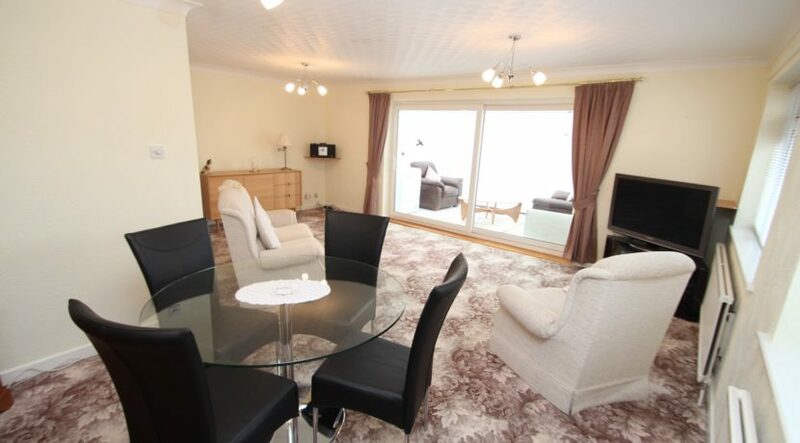 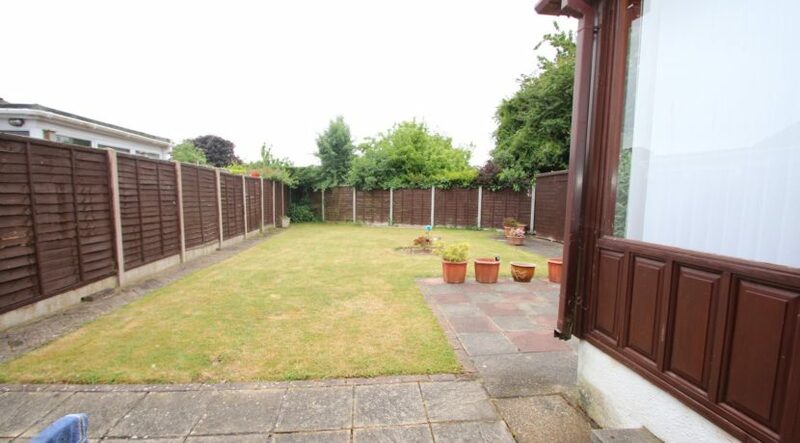 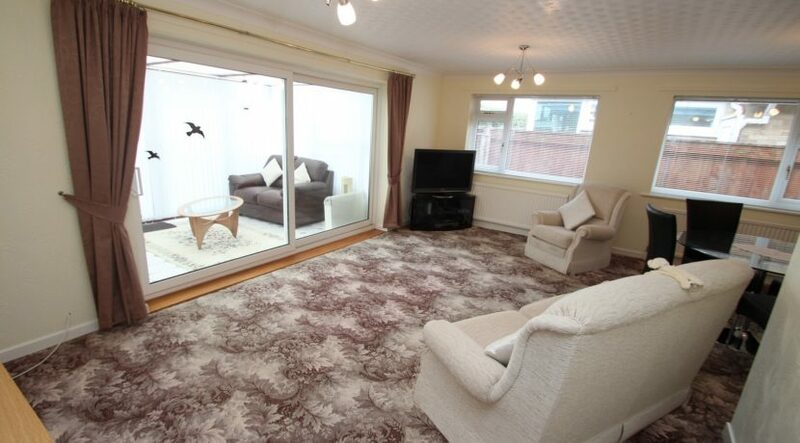 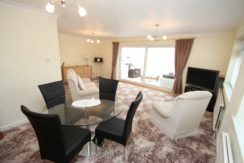 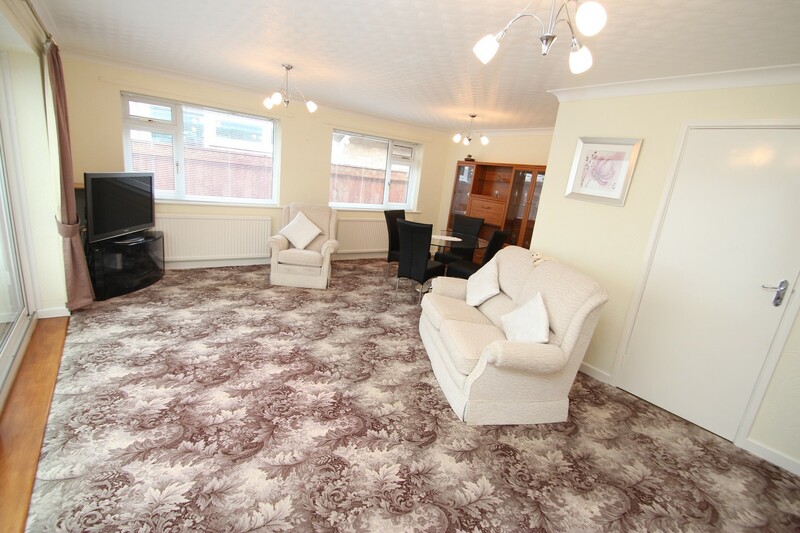 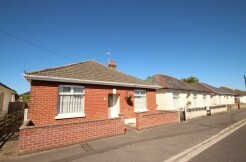 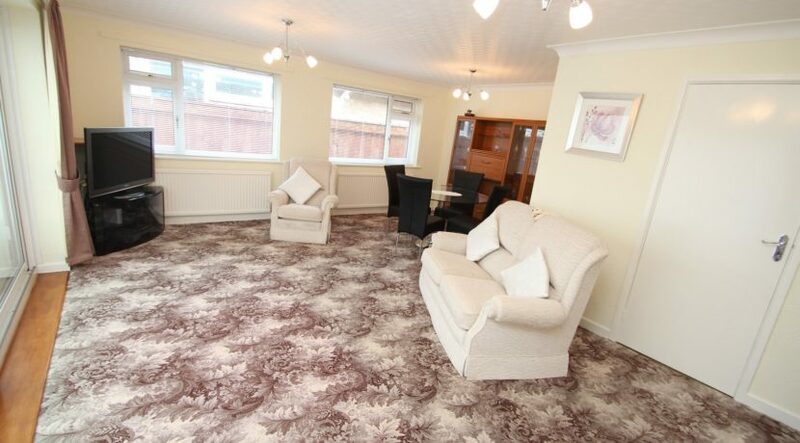 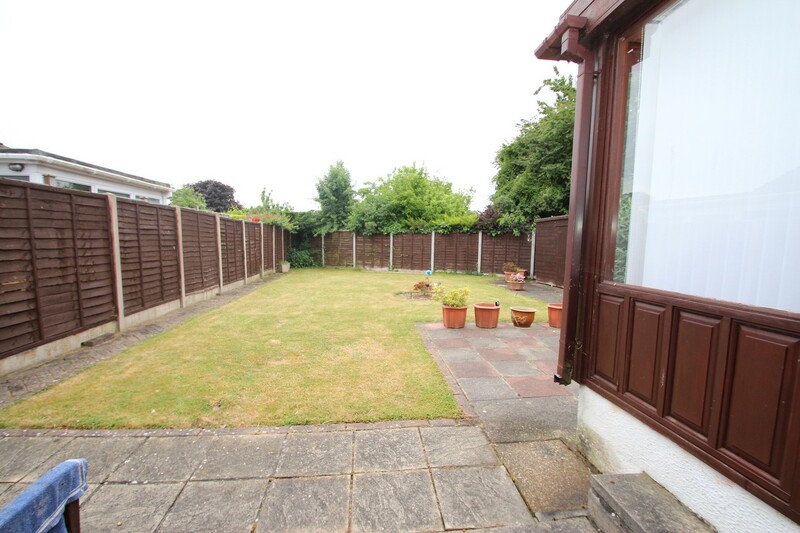 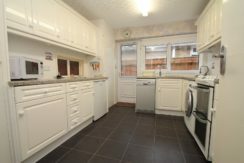 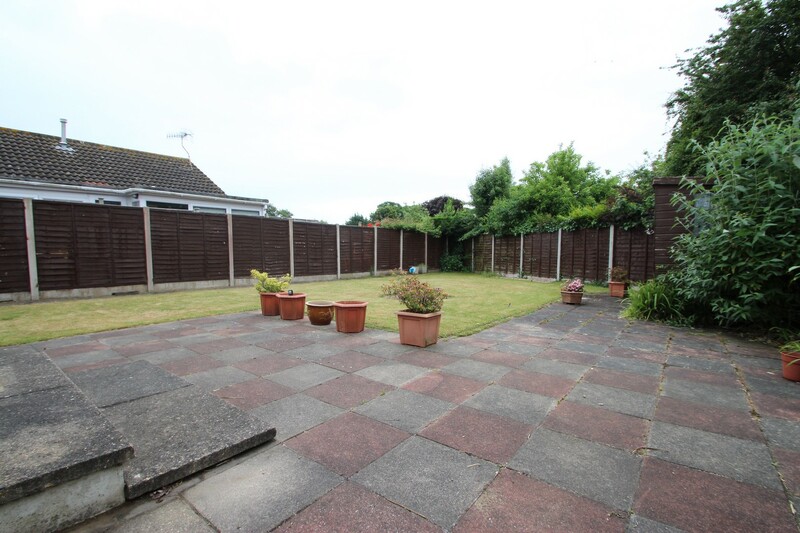 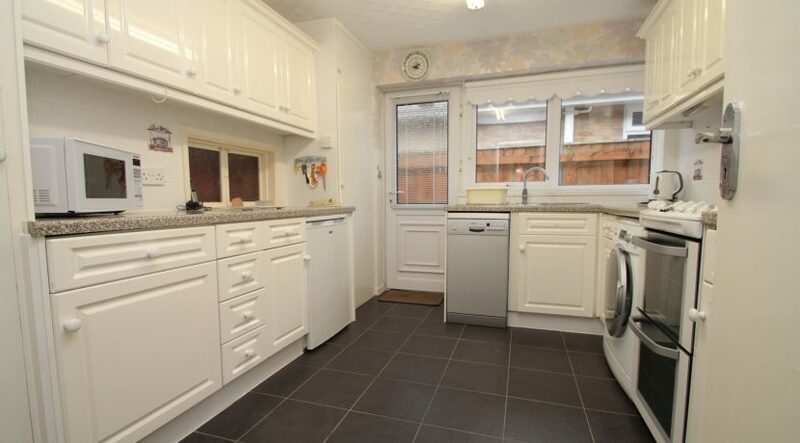 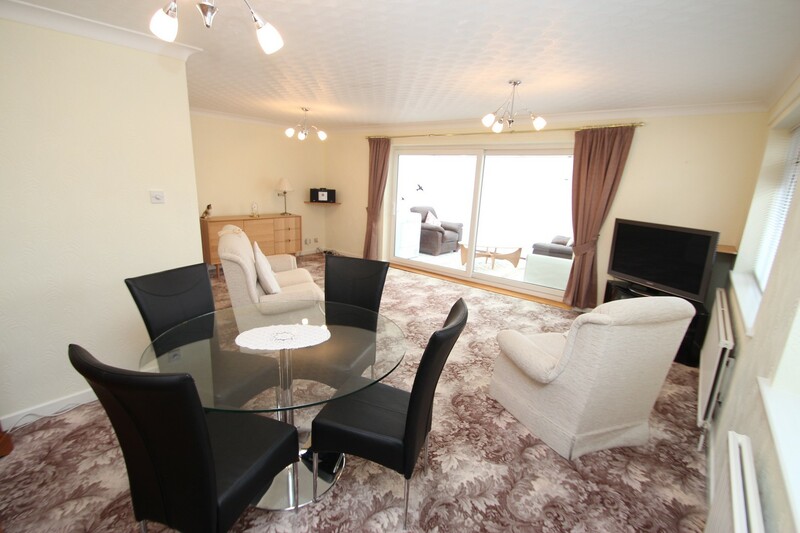 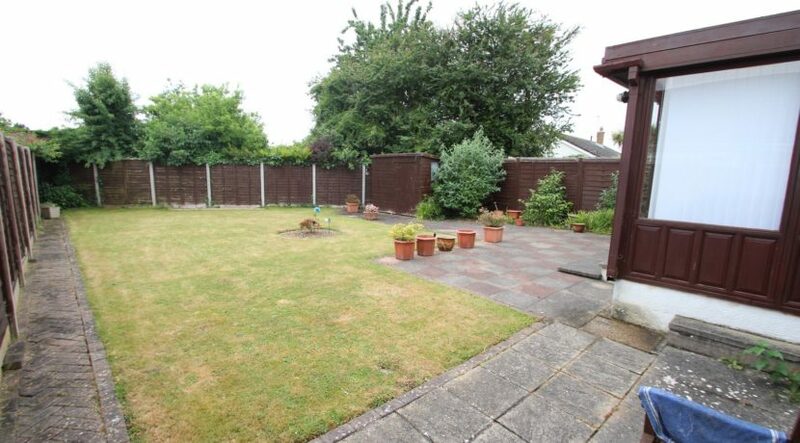 The conservatory is of a good size and has direct access onto the well kept rear garden via casement doors. 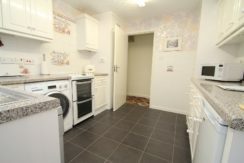 The kitchen has a modern range of wall mounted and floor standing units which are surmounted by roll top work surfaces, there’s an inset one and a half bowl stainless steel sink unit with mixer taps and a side drainer, space and plumbing for a washing machine and dishwasher, space for a cooker, space for an under counter fridge, integrated undercounter freezer, a good sized storage cupboard with shelving is found to one corner and a further storage houses the wall mounted ‘Worcester boiler’ and hot water cylinder. 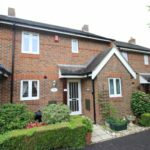 Access out to the side path is via a UPVC double glazed casement door and from the pathway you can access the front and rear gardens. 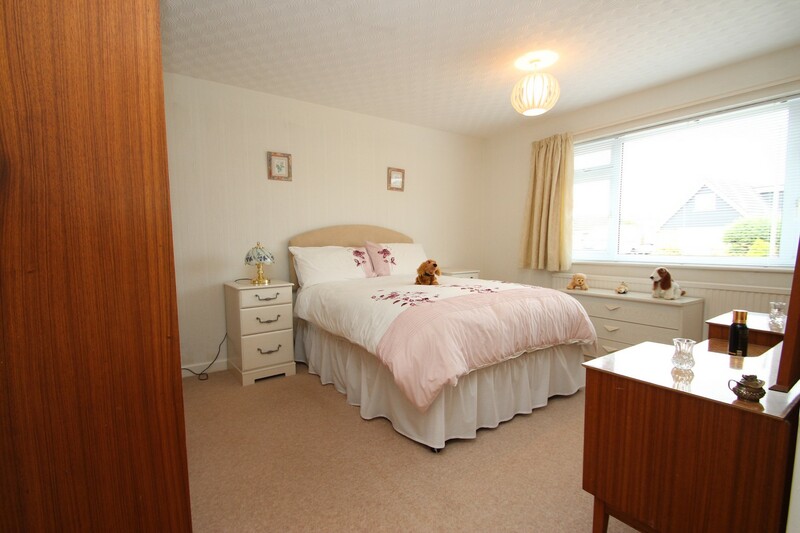 The master bedroom is a generous size double room and overlooks the front aspect. 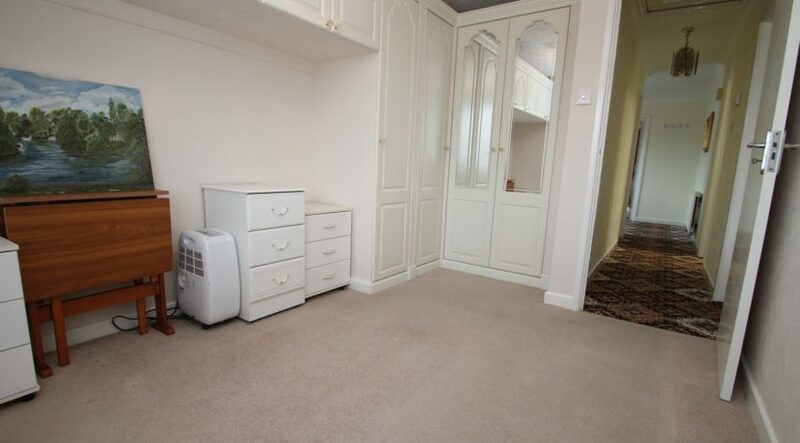 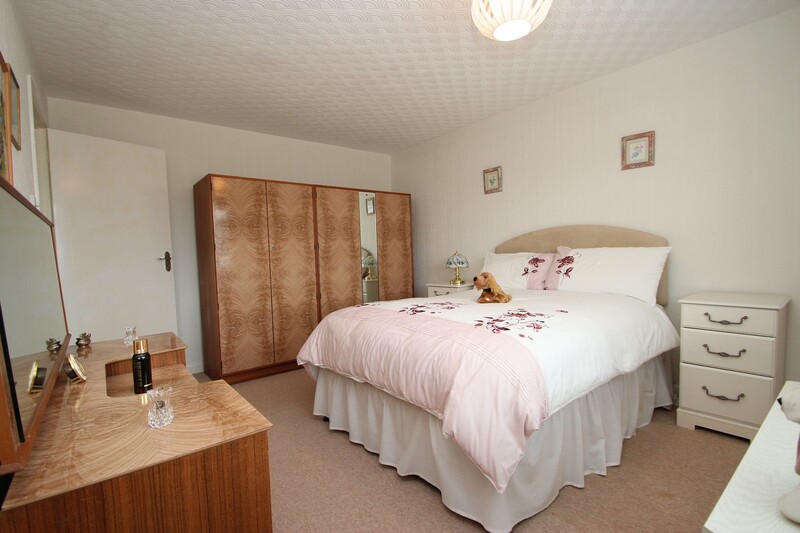 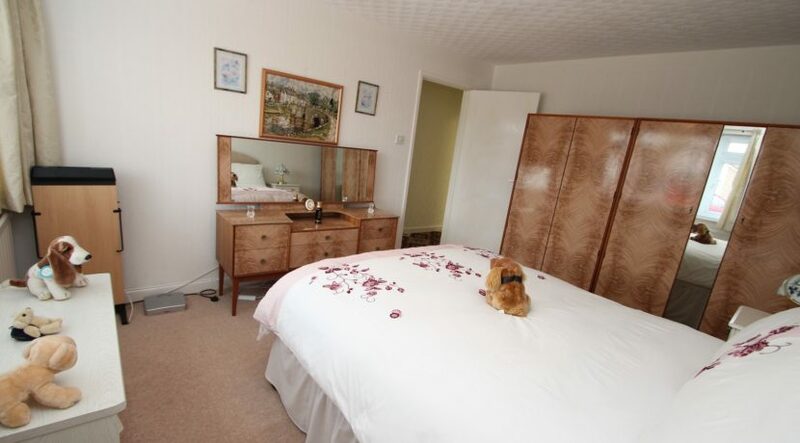 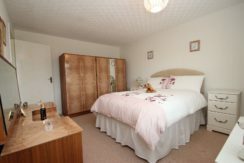 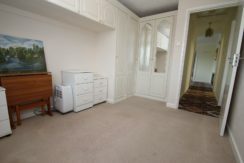 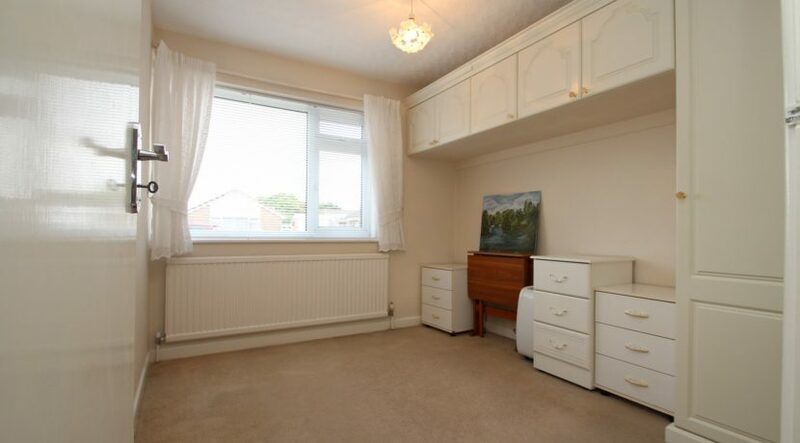 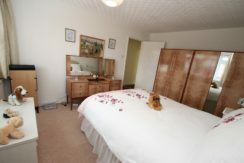 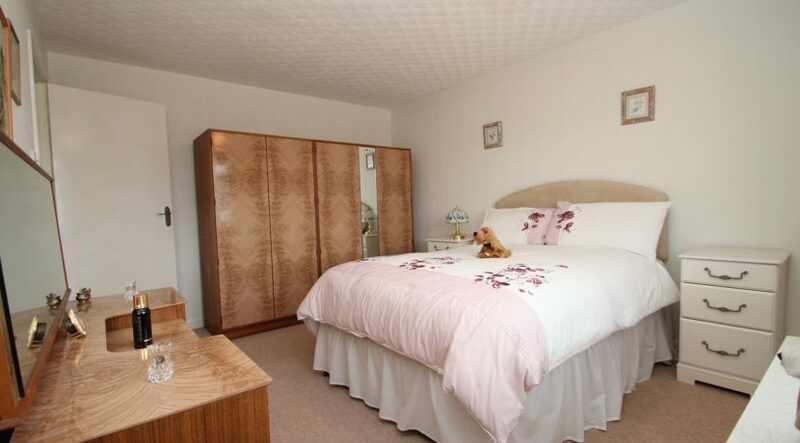 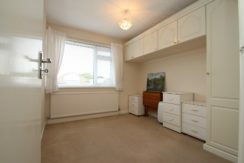 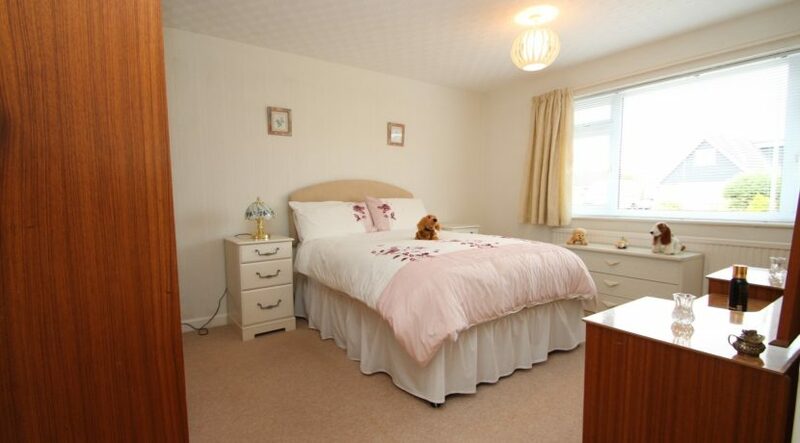 Bedroom two is also a double room and has a good range of fitted furniture. 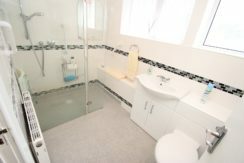 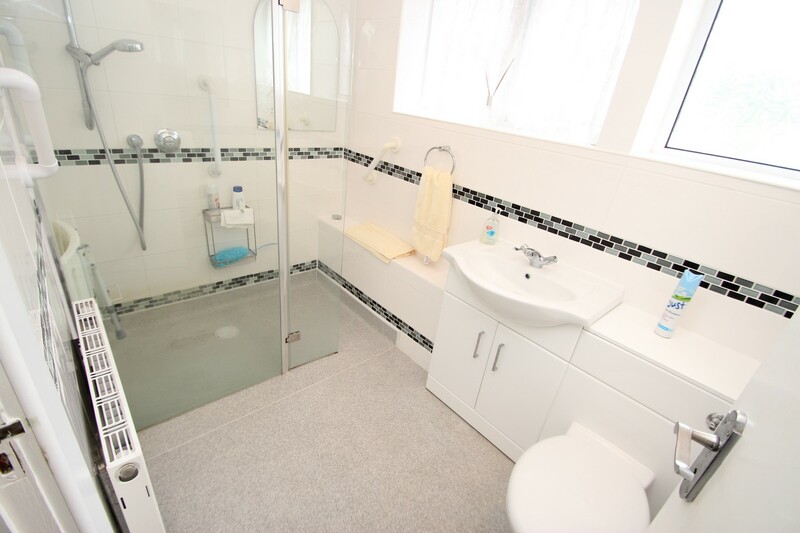 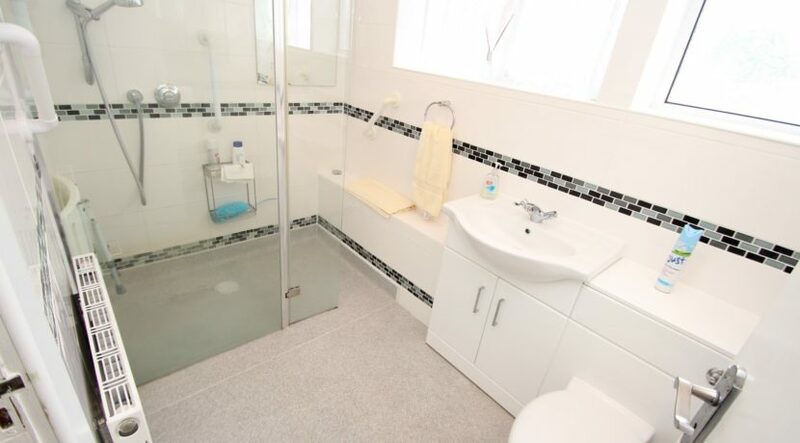 The shower room has fully tiled walls, ‘walk in’ shower cubicle with a power shower, a wash hand basin is mounted into shelving with storage cupboards beneath, low flush w.c. has a concealed cistern and there’s a heated towel rail. 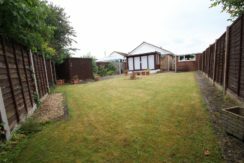 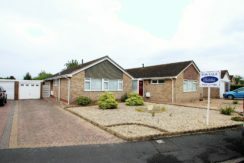 Enjoying a sunny south facing aspect, the rear garden has been beautifully laid out and maintained, there’s a good size patio which adjoins the rear of the bungalow and leads to the area of garden which has been laid to lawn, central and side borders display a colourful variety of plants and shrubs. 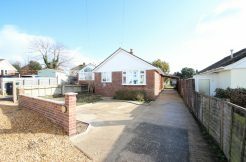 A timber built shed can be found to one corner and access into the rear of the garage can be obtained through a pedestrian door, there’s access down both sides of the bungalow that lead out to the front via lockable gates. 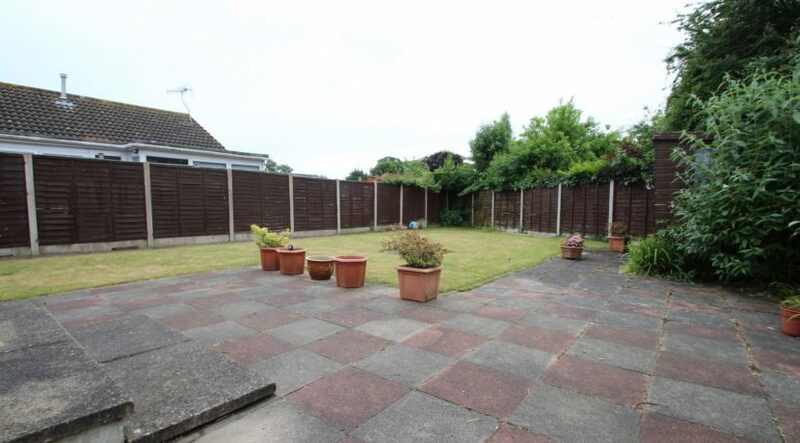 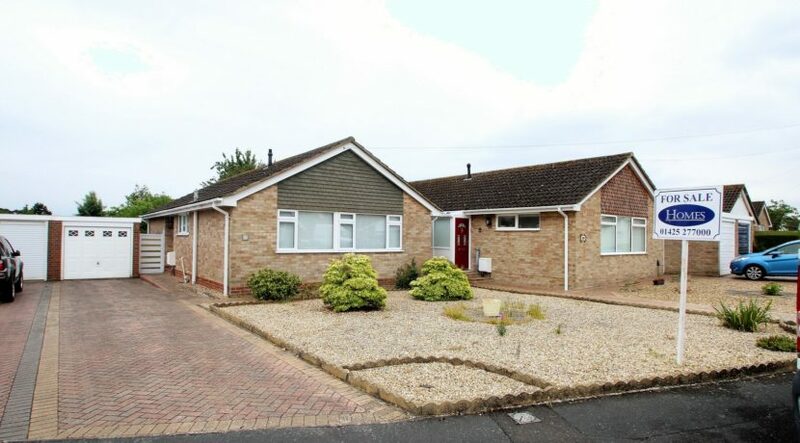 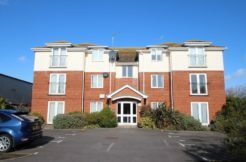 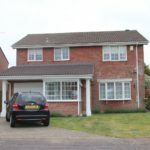 The front garden has been laid to shingle for ease of maintenance, the driveway which has been laid to block paviour offers parking for numerous vehicles and in turn leads to the single garage which has an up and over door, power and light.